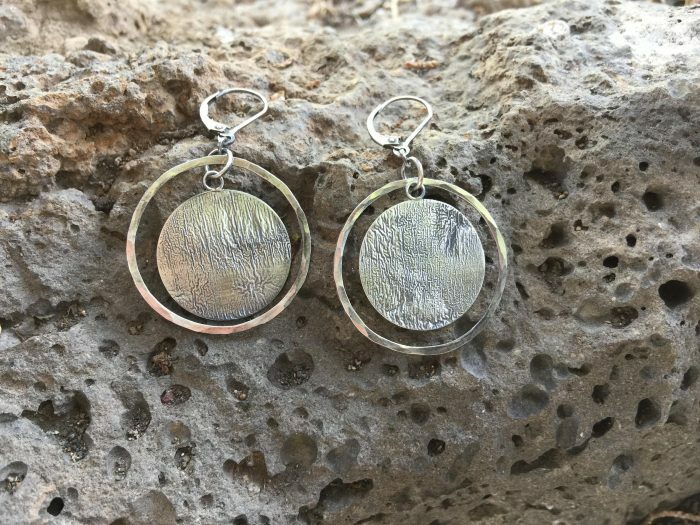 I have designed these silver drop earrings in the spirit of the solar eclipse that will cross the pacific northwest. Sterling silver lever back earwires keep them safely on your ears. They are 2″ long and 1-1/4″ at the widest part. The sun is made from reticulated silver that gives it this organic rough textured look.